Medium Oval 37mm engraved pet identitags.Hi-impact Acrylic make them hardwearing but light weight. 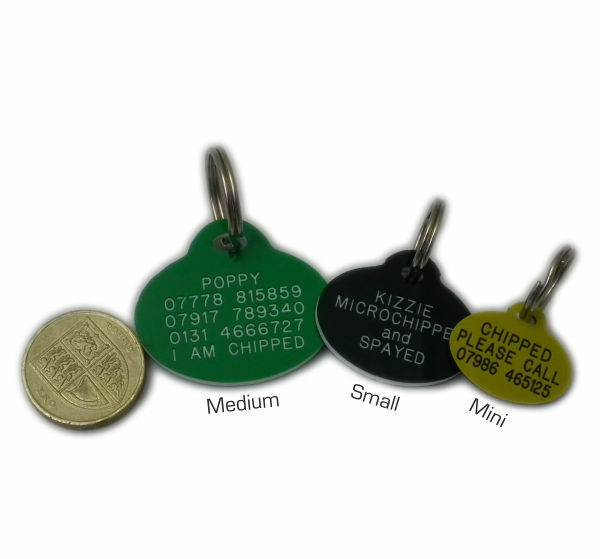 maximum Number of Characters 72.Suitable for Medium and Large/Giant Breeds of Dogs Prices includes split ring and carriage. 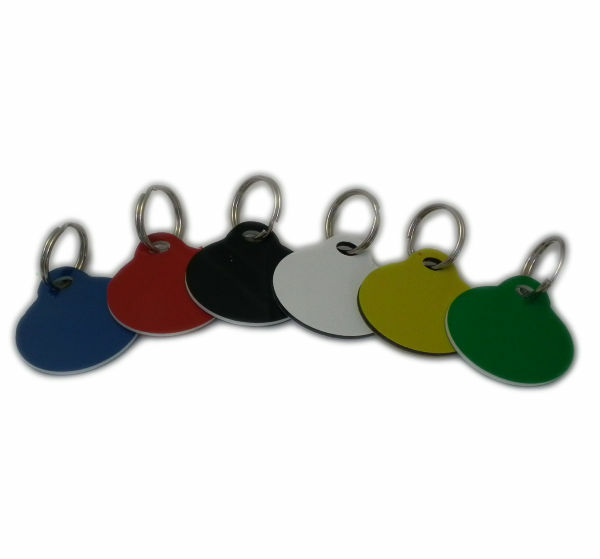 "Great tags, good quality and good price. Highly recommended"
"Excellent value and very hardwearing. 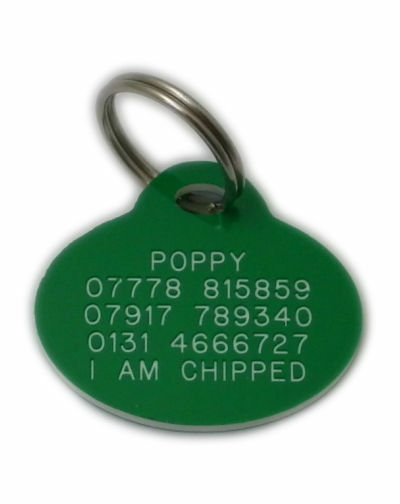 Shame the collar wasn't as strong and got lost so needed another one."